Join us Thursday night for the Annual Pro/Am Racquetball Event! $20 entry fee, winner takes all. We will finish in a few hours. If you have played it before, and if you have won it before, you know how fun this event can be! FORMAT OF PLAY: Round Robin, Pool Play, Brackets. Style of play will be determined based on numbers on entrants. Players will have refreshments and food provided in player hospitality room upstairs all day Saturday. There will be grab and go snacks for entire tournament. Event Director reserves the right to combine or cancel any division due to insufficient entries. Director may refuse participant's entry for any reason. There will be Referees/scorekeepers for main division matches for at least the quarterfinals until final matches. Winners of matches must referee/scorekeeper a following match. There will be incentives for referees that ref more than 1 match. Prizes will be awarded to Division winners. Door prizes will be drawn during the tournament. Saturday Night after play is finished, we would like to go to dinner together. Please plan on joining us! 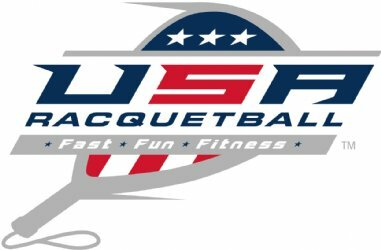 We embrace our racquetball community both on and off of the court. The restaurant will be posted before the tournament begins. 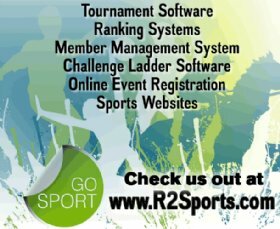 If you have never participated in an R2 Event, please click here to create your R2 Profile to enter Online. If you participated in an R2 event before and haven't registered your own R2 profile, Click the Enter Online button, then click forgot login to complete your profile. For additional assistance to login click here to contact R2 Sports, Thank You.